My story is a [genre] novel about [theme]. It’s told from [perspective] and is set in [place and time period]. It follows [protagonist], who wants [goal] because [motivation]. But [conflict] doesn’t make that easy, putting [stake] at risk. An obvious step, but not an easy one to cross off. In fact, you might find yourself make up other first tasks to avoid nailing this one: such as finding the perfect writing spot, buying the perfect stationary set, reading just a couple more books of your favorite genre. 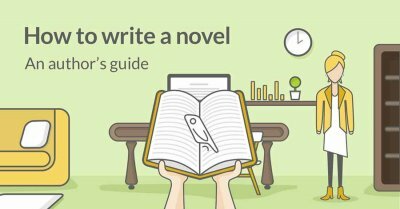 And while all of these things might help you on your way to writing a novel, without spending time really solidifying what you want to write about, this novel-to-be simply won’t come to fruition. If you’re struggling with coming up with even the seed of an idea, don’t fret. There is literally an endless supply of novel topics out there, and you can start perusing hundreds of them in our list of 300+ writing prompts, or our directory of 200+ short story ideas. If you’ve been chewing over a story idea but are having trouble giving legs to it, try writing down one or two lines about the theme of your book. If you’re wondering how to write a novel, it’s likely because there’s some message you want to put out in the world. The message behind your book is its theme, and it will underscore the whole story. For instance, Nineteen Eighty-Four follows a man yearning for love in a world where individuality and original thought is not only a sin, but a crime. But what the book is really about is the human right for freedom of privacy. “I can’t write without a reader. It’s precisely like a kiss—you can’t do it alone,” wrote American author John Cheever. If you want your novel to be attractive to prospective readers, you need to first understand how to think like a reader. And the way to do that is to — let’s all say it together — READ! You will have an understanding of what’s already been done-to-death, and can focus on creating something new. On the other hand, you will also understand what has proven popular in a given genre, and will know what kind of expectations readers have. It’s fun. If you don’t like reading books, why would you want to write them? You know how when gossip moves through the grapevine, it tends to stray further and further from the truth as it passes from person to person? This is because any time a person tells a story, they inevitably add their own unique biases, thoughts, and perspectives. 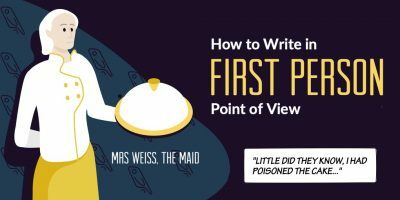 For this reason, choosing the point of view your novel will be told from is an extremely important step and will have a huge impact on the actual story itself. First Person: the story is told from the perspective of the writer or fictional narrator. The main pronoun used is “I.” Learn more here. Second Person: the reader is addressed directly, and asks them to put themselves in the shoes of a character. The main pronoun used is “you.” Learn more here. Third Person Limited: the narrator only has insight into the thoughts and feelings of a single character at a time. The pronouns associated with this POV are: he, his, him, she, hers, her, they, theirs, and them. Learn more here. Third Person Omniscient: the narrator is all-knowing and can reveal anything that is happening to any character at any point in the story. The pronouns used are the same as for third person limited. Learn more here. This line glides smoothly from the page when Elizabeth Bennett takes a trip to the Lake District in Georgian Era England. If, on the other hand, the book took place in modern day Texas and a 20-year old Elizabeth Bennett spoke those words, it would stick out like a sore thumb. 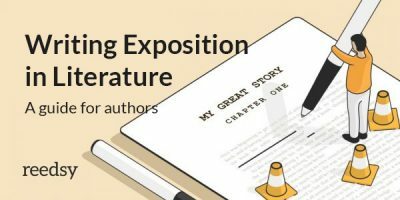 The key here is context — and the context or setting of your novel will dictate everything about it, from character to plot to conflict, and beyond. If you are planning to write about a setting outside of your own immediate knowledge, make sure you do adequate research. If your novel is historical, learn all about conducting historical research in our free, ten-day course. Or consider working with sensitivity readers if you are writing about a place or culture outside your own. If you’ve ever eaten a multi-course dinner (or seen Pretty Woman), you will know to start with the knives and forks on the outside and work your way in. The Goal: what does your character want? For example, Harry Potter’s goal is to defeat Lord Voldemort. The Motivation: why does your character have this goal? Harry must defeat Lord Voldemort to ensure the wizarding world’s safety and to avenge his murdered parents. Learn more here. Dynamic or static: will your character undergo fundamental changes throughout the course of the story, or will they remain largely the same? Learn more here. Create a character profile that covers everything from appearance to family using this handy template. Look into your character’s past using these character development exercises. Give your character the perfect name using this character name generator. Kurt Vonnegut once said that one of the most universal types of story is the “Man in Hole” story: someone gets in trouble and then tries to get out of it. A close second was the “Boy Loses Girl” story: someone has something, loses it, and then tries to get it back. In both of these examples, there is a conflict driving the story — and indeed, a novel is really just a lengthy report if there is no conflict. Internal Conflict: what kinds of character flaws will hinder the protagonist while they strive for their goal? For example, Frodo’s internal conflict in The Lord of the Rings is to not let the ring corrupt him. External Conflict: what kind of circumstances and obstacles outside of the protagonist’s control will prevent them from achieving their goal? Sauron has made the road to Mount Doom (and the destruction of the ring) near impossible. Once you’ve got the main conflicts of your novel sorted, you need to nail down the stakes: what will happen if the conflict overwhelms the character and they don’t achieve their goals? For instance, it’s all well and good that Frodo wants to destroy the ring — but why should we care? Well, because the fate of Middle Earth hangs in the balance. In the world of fiction writing, there’s often said to be two kinds of writers: plotters and pantsers. Plotters, as you might have guessed, plan where their novel will go before they start writing. Pantsers will usually have a general idea of how their story will unfold, but will just sit down to write without doing any initial outlining. If your end goal is writing and publishing a novel, we’re suggesting you follow the ways of the plotter and create an outline. 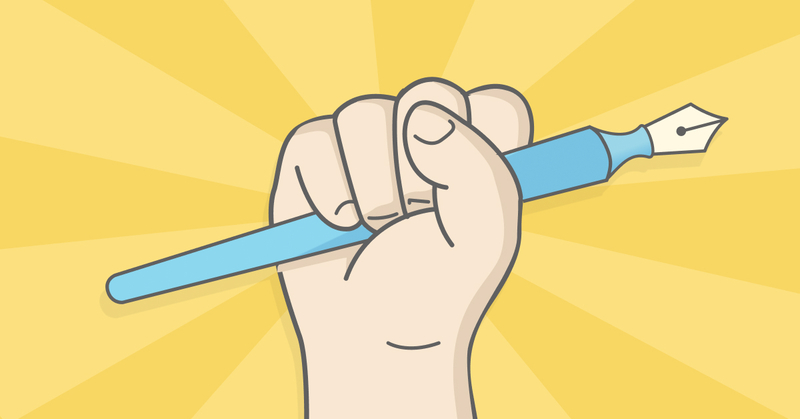 When you inevitably hit the writer’s block that almost all writers face, your outline will act as a “get out of jail free” card — you can always use it to remember what needs to come next. Mind Map: Create a graph or some kind of visual representations of your plot points, characters, themes, conflicts, and chapters. 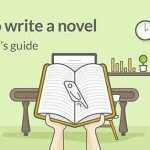 Synopsis: A more detailed outline that briefly covers all of the major story elements over two or three pages : plot, characters, conflicts, and themes. The Beat Sheet: Document the beats of the story in shorthand. Each individual ‘beat’ should get a bullet or a number. The Skeleton: Just make notes of the key plot points. Think of it as a roadmap with only big-name destinations marked — how you get there is up to you. Characters First: Let your characters drive the outline by mapping out character development, character arcs, and character beats over planning of the plot. For advice on mapping out a character arc, refer to our post on the topic. Scenes and Sequences: Just write the major scenes that need to occur, and the order in which they unfold. For more information on creating an outline — or for help determining which technique would best suit you — head to our author’s guide to outlining. 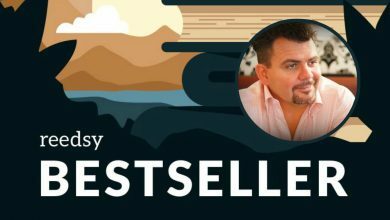 While it’s true that all stories have a beginning, a middle, and an end, you can drastically change how readers perceive your novel by altering how you structure your story. The Seven-Point Story Structure, which, much like the Hero’s Journey monomyth, presents the story as a series of highs and lows. 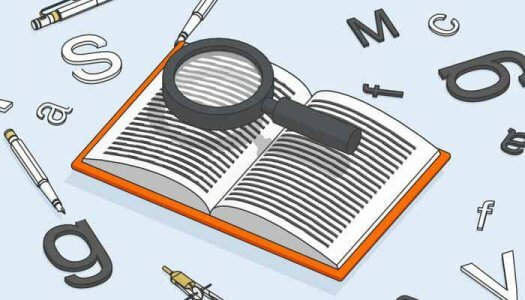 To see all of these structures in action, check out our post which maps out three bestselling novels using the above techniques. If you can accomplish the above eight steps, you are well on your way to a completed novel. With all of that foundation laid for your story, all that’s left is to actually start writing! And the following four tips will help you do just that. FocusWriter. Don’t look for bells and whistles here (though there are some cool functions like themes and timers). The goal of this app is to provide you with a blank page and a good dose of concentration. WriteMonkey. A spartan interface, save for a word counter and clock. 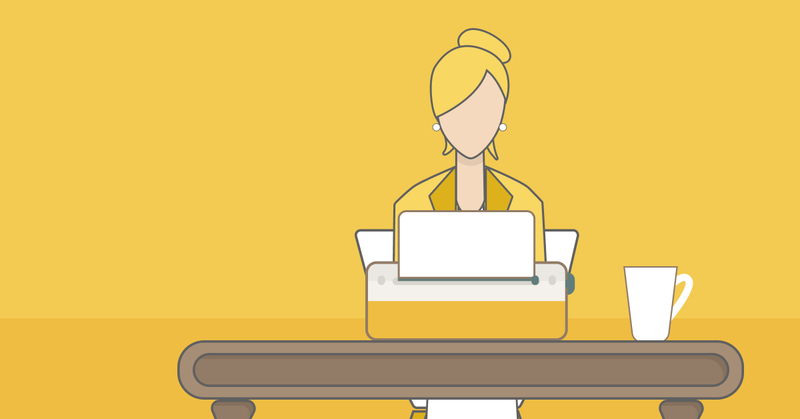 If your writing depends on a zero-distraction environment, check WriteMonkey out. Calmly Writer. Have a bad habit of jumping back and forth between scenes so much that you never quite manage to actually finish one? You’ll likely benefits from this app’s “focus mode” which only shows you the current paragraph you’re writing. 750 Words. If you need a little boost of motivation and accountability, the program might be your friend. It encourages you to write 3 pages (or 750 words) every day, and offers features to help you do so, including a statistics board that reveals your average writing speed. Reedsy Book Editor. Fake it ‘til you make it, right? 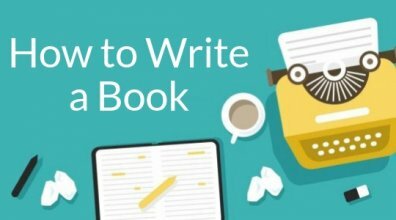 The Reedsy Book Editor formats your book as you write, so even your rough drafts will look like a professionally formatted manuscript. Who is going to want to read your book? Nope, not everyone. If you look at your own bookshelf, you might find a variety of literature, but there’s probably a type of book that’s there more than others. Think about the kind of person that will buy your book, and write with them in mind. What genres do they read? Who are some of their favorite authors? What are some of their favorite movies? Do they live somewhere specific? Keep going until you feel like you have a sense of the “proto-persona” for your book. Learn more about finding your target market here! Set up Non-Negotiable Writing Time. Or, as Kevin Johns calls it, NNWT. The keywords here are “non-negotiable.” This is a period of time, whether it’s once a day or once a week, that you commit to writing, and only writing. Unless there is an emergency, you do not schedule anything else during your NNWT. Quantify Your Progress. 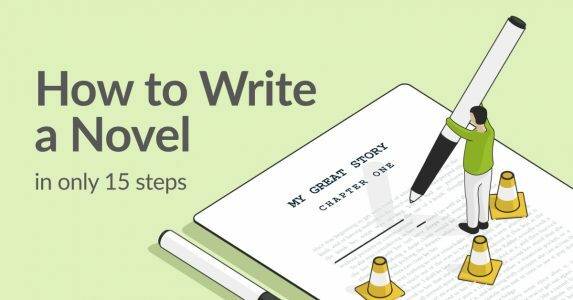 Set realistic goals (maybe a word count or number of pages to hit) that you can achieve and then celebrate those “little wins.” Breaking up the task of writing a novel into bite-sized steps, and then acknowledging when you take those steps, will not only make the process more manageable — but also just more fun. Brag. If you received a promotion at work, you would celebrate it, or at the very least share the good news with others. As you make progress on your novel, talk about it with others. This will help keep you accountable — if you share with others, they’re more likely to ask for updates. If you’ve just finished your first draft, your next step should absolutely involve party poppers and cake — or some kind of celebratory treat, because that’s a huge accomplishment. But of course, the work is far from over. Writing the first iteration of your manuscript is all about just getting the words down on paper. Now it’s time to start turning those words into a memorable story. Sometimes it’s hard to really pinpoint why a certain novel stays with you, there’s just something about it. You can add a certain je ne sais quoi to your own writing by employing literary devices such as Chekhov’s Gun, irony, and foreshadowing — which all serve to build tension throughout your story. 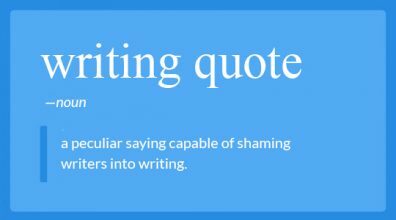 There are countless other literary devices that authors use to add creative depth to their writing. Find a list of some of our favorites here. Show, don’t tell. Sometimes, you just need to state something matter-of-factly in your novel, that’s fine. But, as much as you can, try to illustrate a point instead of just stating it. Keep in mind the words of Anton Chekhov: “Don’t tell me the moon is shining. Show me the glint of light on broken glass." Learn more here. “Said” is your friend. When it comes to dialogue, there can be the temptation to spice things up a bit by using tags like “exclaimed,” “asserted,” or “remarked.” And while there might be a time and place for these, 90% of the time “said” is the best tag to use because anything else can feel distracting or forced. Learn more here. Stay away from purple prose. Purple prose is overly embellished language that doesn’t add much to the story. It convolutes the intended message and can be a real turn-off for readers. Learn more here. To become a bonafide self-editing expert, check out our repertoire of free online courses — all about editing, written by professional editors. A beta reader is someone who reads a manuscript before it’s published, with the sole purpose of giving the author feedback from a reader’s point of view. Typically, a beta reader is a friend, family member, or perhaps someone you met through the writing community. Working with readers is important, because during the writing process authors can often become blind to certain issues like plot holes, lack of continuity, exposition dumps, etc. Beta readers can help you iron these things out before you publish your novel — and you get the exact same feedback, only in a negative user review on Amazon which everyone can see. For more information on where to find beta readers and tips for getting the most out of working with them, head here. One of the most important parts of getting a novel ready for publication is to: hire an editor. It might not be the cheapest investment, but when you think of the many hours you’ve spent getting your novel to this point, the cost of getting an expert to fine-tune and polish your story is likely worth it. Developmental Editor. If you’re planning to hire multiple editors once you finish your manuscript, it’s best to start with a developmental one. They will provide a holistic and in-depth review of your novel, giving you feedback on everything from problematic characterization to sentence structure. Copyediting. A copyeditor has a more zero’d-in approach than developmental editor. They will make sure that the “copy” — the actual language used in your novel — is perfect, keeping an eye out for things like bad grammar, repetition of certain words, or spelling mistakes. Proofreading. Typically the last stage of editing, it provides your manuscript with a final polish, making sure it puts its best foot forward when it hits the presses. A proofreader will ensure that every word in your novel is spelt correctly, and that every sentence is grammatically correct. Learn more about what each type of editing consists of here. Now, how about that price tag we mentioned? Well, the cost of professional editing will depend on a number of variables: the type of editing you need, the specific editor you hire, and your books length, to start. Check out our post for more information on the costs of editing — and even try out our pricing calculator by entering the word count for your novel and genre. And there you have it, 15 steps that will take you from “one day I’ll write a novel” to “today I finished writing my first novel.” During the process, the perfect title for your book may have come to you. If not, finding the perfect moniker for your story will likely be a last — and important! — step. But don’t worry, we’re not going to leave you hanging. Check out our book title generator and generate titles based on your genre until you find the one. What step of the process do you typically get stuck on? What advice might you have for other writers currently struggling to get their novel going? Leave any thoughts or questions in the comments below!